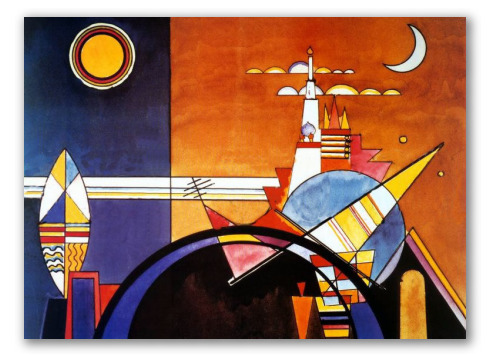 "Big Tower of Kiev" by Kandinsky, Russian Painting. This painting is a two dimensional composition showing a magnificent representation of the world with the tower of Kiev on its peak. The colors are vivid, often used in other works by the artist. 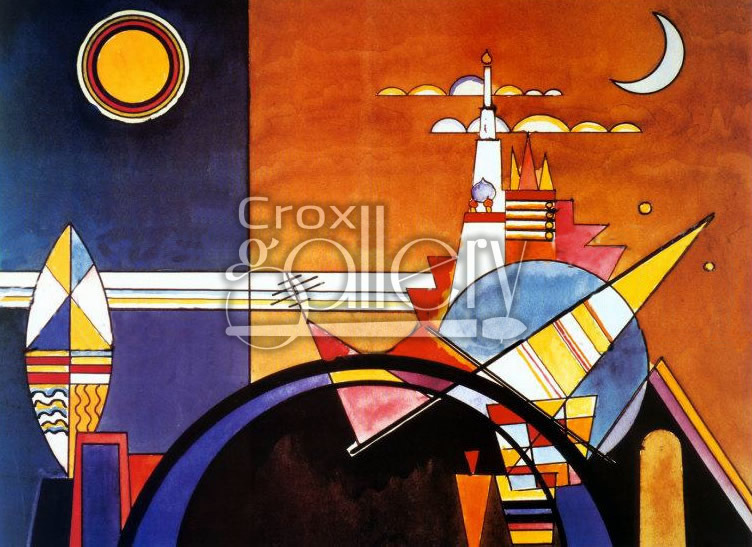 It was painted by Wassily Kandinsky.